From classic wools to innovative blends, Rowan has been a shop favorite for years. We’re pleased to be an official Rowan Flagship Store, which means that we are your hub for all things Rowan! 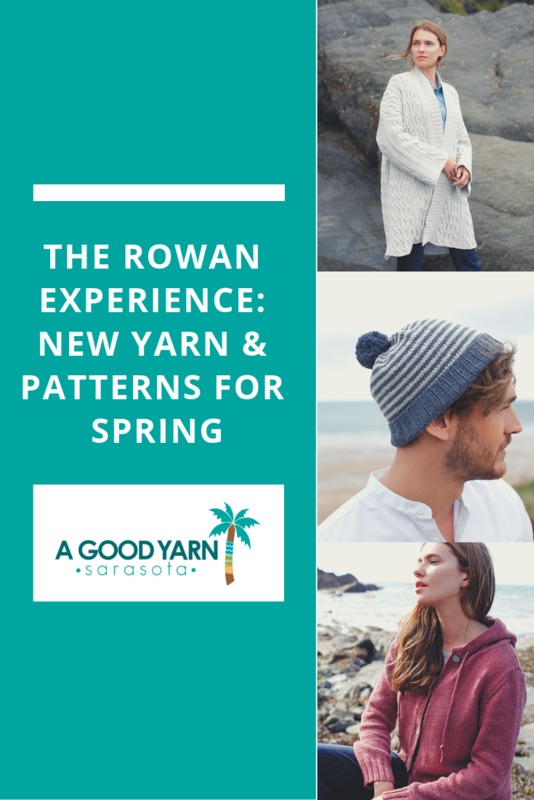 From trunk shows to the very latest yarns and pattern collections, you’ll find the best of Rowan here at A Good Yarn Sarasota first. 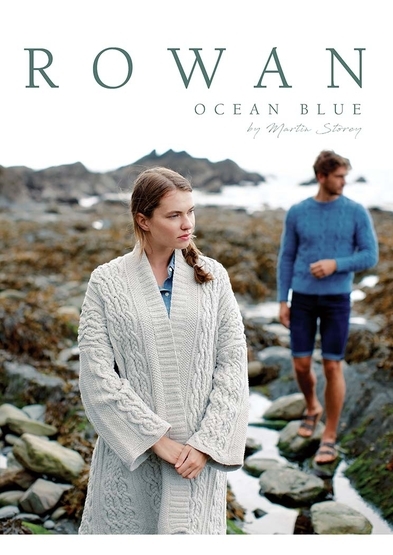 This weekend, Susan will be meeting Rowan in-house designer Martin Storey at a retreat being held for their Flagship Retailers - another perk of joining this very special group! Stay tuned for photos and an update from this exciting event. For the spring and summer months, we’re featuring Denim Revive in the shop. This brand-new yarn is made from recycled denim and cotton fibers and comes in a palette of 9 tweedy shades. Perfect for textured stitches and lightweight knits, you’re sure to find the perfect pattern for your next project in the Ocean Blue Collection by Martin Storey. Oceana is a gorgeously cabled sweater coat with drop sleeves and plenty of positive ease for a stylishly comfortable fit. Bondi, a comfy cardi with plenty of positive ease that you can throw on over your swimwear, workout gear, or street clothes. 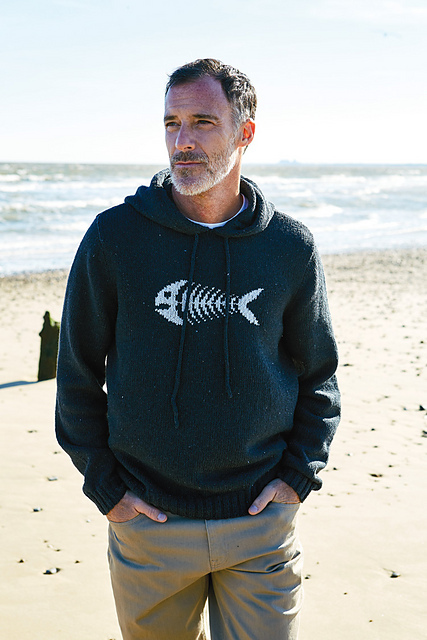 This unisex hooded pullover features an optional Fishbone motif on the front, hence the pattern name! 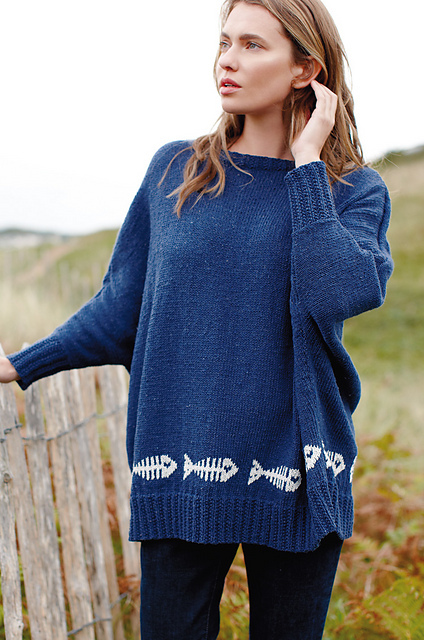 The fish motifs at the bottom of Sunfish add a touch of whimsy to this seamed dolman-sleeved pullover. 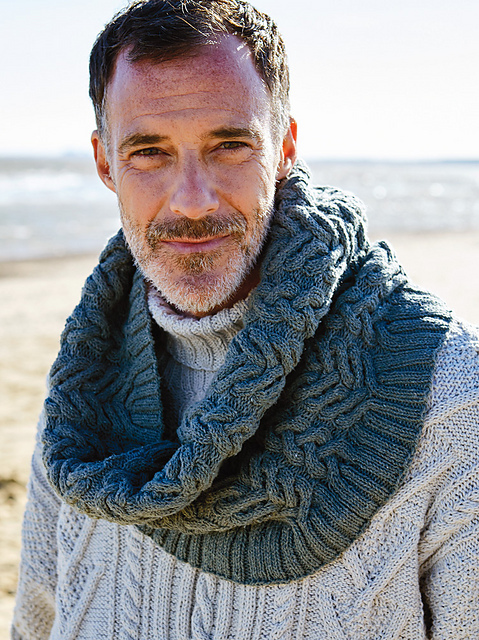 Accessorize with Wavelry, a seamlessly-knit cowl featuring an all-over cabled pattern. 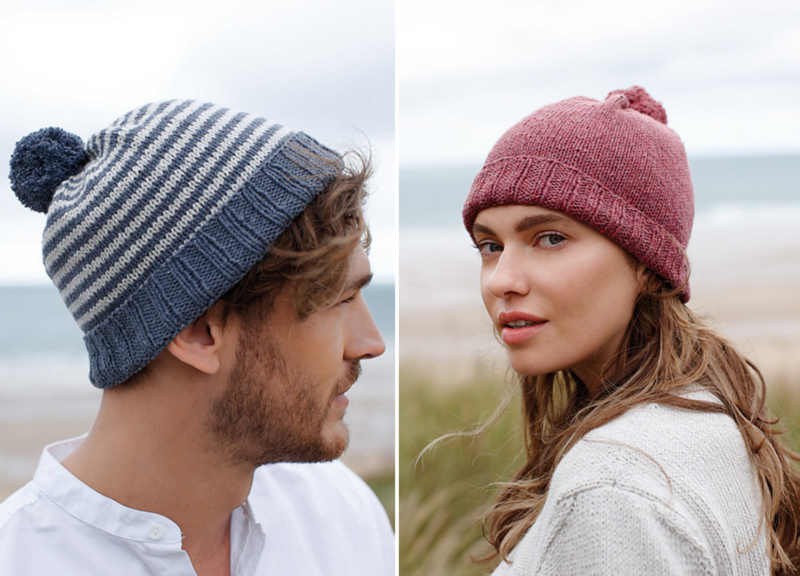 Whether you knit the striped or solid version of Sydney, this classic beanie is perfect for the life aquatic! 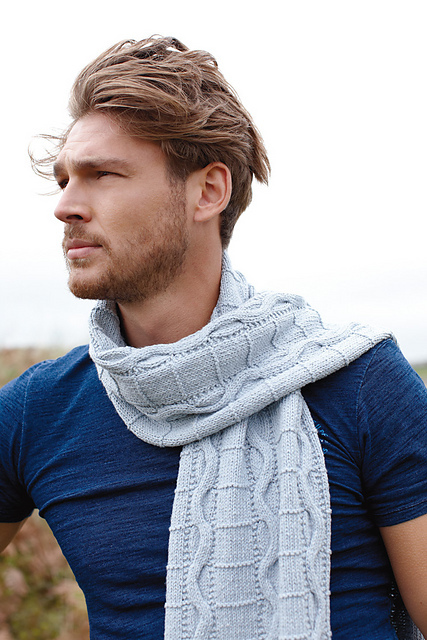 The Dover Scarf has just enough texture and cables to keep you interested as you knit this beach-ready accessory. This spring, we hope you’ll stop by the shop to see Denim Revive the entire Ocean Blue collection in person - we can’t wait to see you!